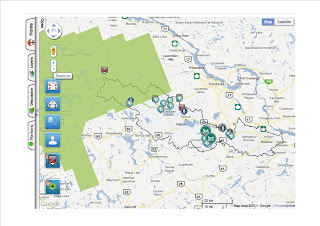 As part of our collaborative Nature in Your Neighbourhood initiative with the Bonnechere River Watershed Project, and in partnership with Ryerson University, we have developed an on-line community mapping tool. We invite you to use the mapping tool to explore the watershed, identify feature and discuss related topics. Please take a look, register and start using the tool! Your input is important to us, and please tell your friends! Click here to start exploring the Community Mapping Tool.